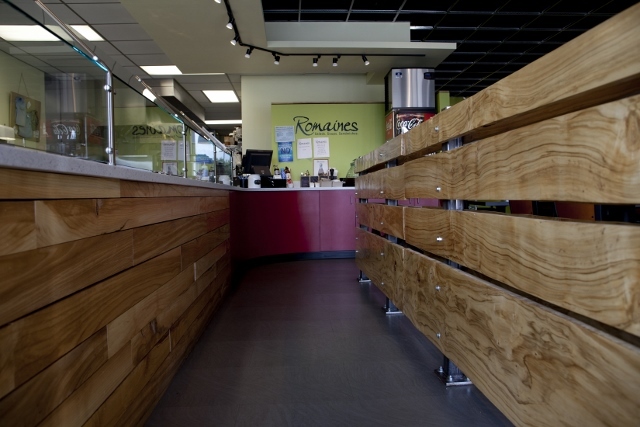 Romaines Restaurant — Missoula’s only Certified Green Restaurant — is local and sustainable from the core of its business. 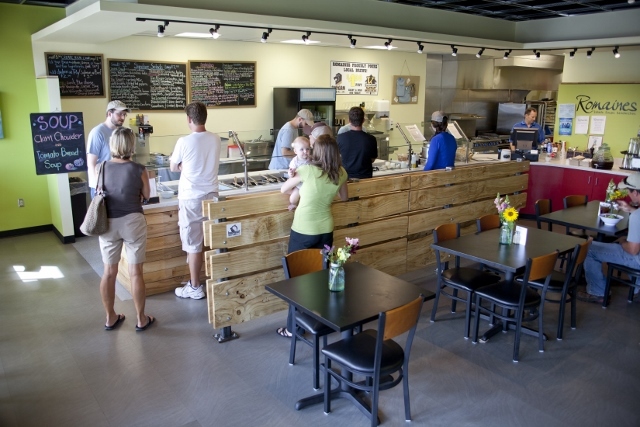 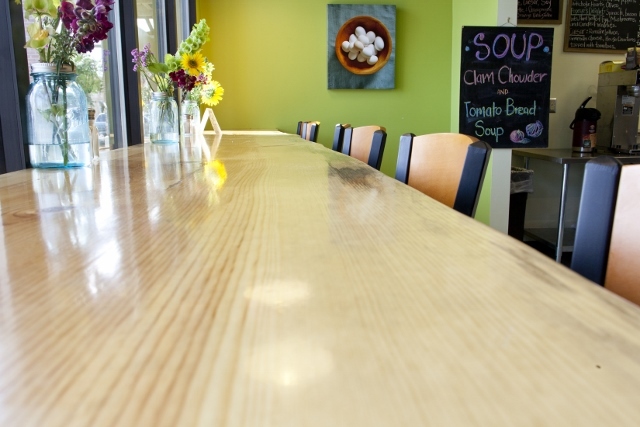 Just like the salads and soups, the window counter top is local and sustainably harvested…and organic! 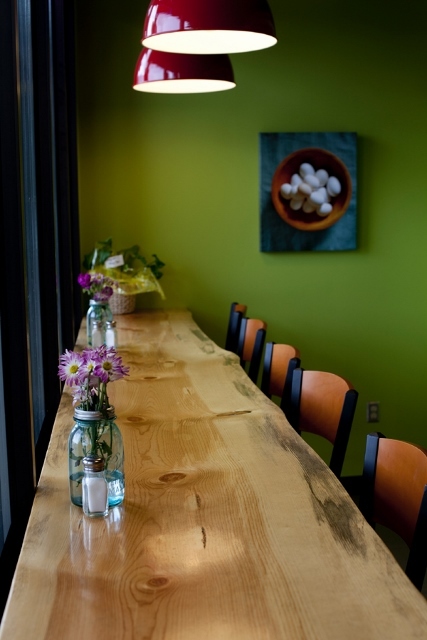 Check out the paneling and dividers made from local cottonwood and birch.